Author is a passionate writer working as compliance specialist. She has extensive exposure to multiple cultures. With passion for general wellness and fitness she keeps her recipe and fitness experiments on. She also writes about travel & lifestyle. 3-ingredient breakfast recipe - quick and easy omelet! 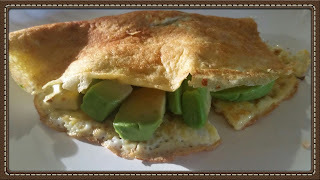 Avocado Omelet- quick & easy breakfast Every weekday morning is rush morning for me. Getting kids ready for school bus on-time is not less than driving a race car for me! I need a good breakfast to keep me going on that race track, obviously I have no time for that. My breakfast not only need to be quick recipe, but also needs to be healthy. I can not munch on junk food in morning. So, I keep experimenting with my breakfast recipes: to make them quicker and healthier. After reading all about avocado nutrition value, I did try it couple times - was not that crazy about the taste though. I felt avocado taste is very subtle - so easily can add up to other favorite dishes.While experimenting with avocado, I came up with this three ingredient wonderful breakfast recipe - which can be prepared within 10 minutes. How to trip Florida - a tropical destination, best possible way! Holistic health means both physical and mental aspects of life factor in person's overall health and wellness and are closely connected. Thus mental fitness is as well important as physical health. Yes, any trip or amazing vacation gives a change, a most needed break from your hectic schedule. It gives a boost to your mental fitness. As any trip requires descent walking - you get good exercise, your pedometer may read over 15 miles! If that trip is well planned you sure will have lifetime memories to cherish on top of health benefits. Due to long winters in northern America, kids are ready to grab any chance to get out in nature and explore. What is your favorite winter destination in USA? - I am sure it is Florida! Tropical weather, long beaches, wonderful shopping outlets and wild life to amusement parks - Florida has something for every one in your family! Enjoy the Sweet, with no guilt! Who has time for a 'bake it from scratch' recipe - specially in weekday morning? I always look for some shortcuts in recipes I like, here is one of my favorite concoction. 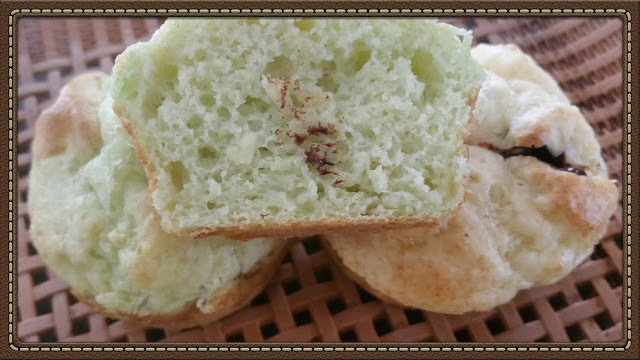 This muffin is great combination of taste and nutrition - a must try recipe. If you aren't a good baker, you may have hard time in baking recipes. When it comes to "bake it from scratch", I am nervous, too. I am not a big fan of cakes, still I enjoy some of the baked recipes. This is not a regular muffin recipe, you will be glad you came across this recipe adventure. Egg and cottage cheese provide good amount of protein you need to keep you going all day along with calcium. Add some chopped walnuts for additional protein and good fat. Once I had a pistachio muffin at my work café, from local bakery. Not being a big fan of cakes-cupcakes and being in favor of home made meals over the ready to eat - store brought, I was hesitant to try it.